Local authorities in Gaza border communities have issued new and updated safety guidelines in recent days, in light of an increase in terrorist attacks involving balloons attached to explosives being launched from Gaza. 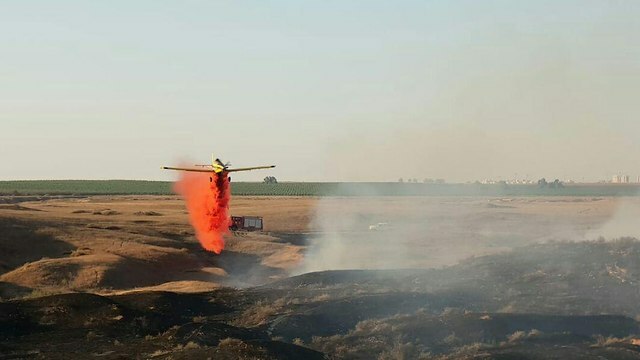 Recently, an average of 12 fires a day were caused by incendiary balloons, most of them in the Be’eri and Kissufim forests or in open fields in the Eshkol and Sha’ar HaNegev Regional Councils. 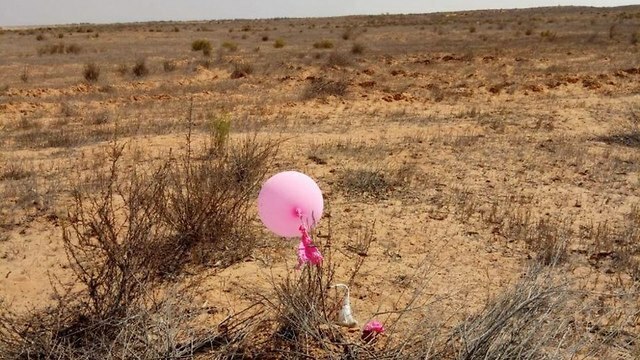 Gaza region residents have been informed that police and IDF officials are concerned with the recent escalation in incendiary balloon terrorism, fearing it can lead to casualties since now terrorists are launching balloons attached to improvised explosive devices. Although the explosives charges are not powerful, the explosives themselves and the inflammatory materials can certainly cause serious injuries. “The incendiary balloons terrorism has escalated in the past few days and now Palestinians are launching balloons day and night. If you recognize something suspicious on the ground, do not touch it and keep away. We recommend that parents explain this to their children as well,” an announcement circulated in a community near Gaza read. Despite the ongoing riots along the Gaza security fence, about two weeks ago, as fewer incendiary balloon incidents were reported, it seemed as if calm has been achieved. Hamas appeared to have successfully restrained, to a certain extent, the terrorist squads involved in launching these balloons, in light of the progress made in the cease-fire talks with Israel. But ever since the cease-fire talks halted, during the past two weeks the balloon terrorism has resumed and, with the addition of explosive devices, became even more dangerous. Security forces situated throughout Gaza vicinity communities were recently briefed by the IDF, and were told that the region has become more volatile and dangerous. “Our feeling is that we are facing yet another round of escalation,” said a security official positioned in region. “After at least five short rounds of escalation, there was a certain calm, as very few incendiary balloons incidents were reported. Now, after a few days, the incendiary balloon terrorism resumed, sending a clear message: Hamas has loosened the reins and is now authorizing the operation of incendiary balloon terrorist squads,” the security official added. 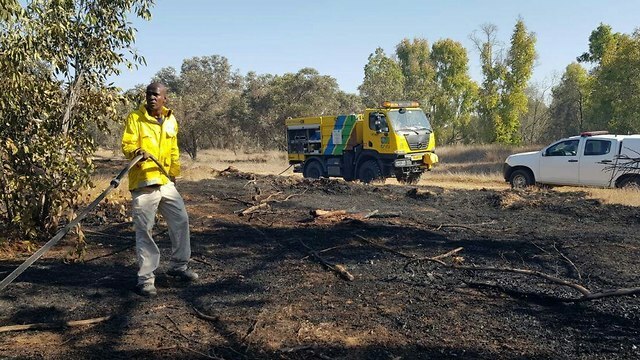 The communities’ firefighting team has resumed their emergency work procedures, as JNF employees and the Israel Nature and National Parks Protection Authority’s personnel are on call. On Saturday morning, highway 4 was blocked for traffic near Yad Mordechai Junction due to a suspicious object, which probably landed there as a result of a balloon flown from the Gaza Strip. A sapper arrived at the scene and neutralized the object. Later on Saturday, a fire caused by an incendiary balloon broke out near Nahal Oz, a kibbutz in southern Israel. This entry was posted on September 30, 2018 at 7:38 AM and is filed under Uncategorized. You can subscribe via RSS 2.0 feed to this post's comments. You can skip to the end and leave a response. Pinging is currently not allowed.